Blue Poppies in Pots? Not! 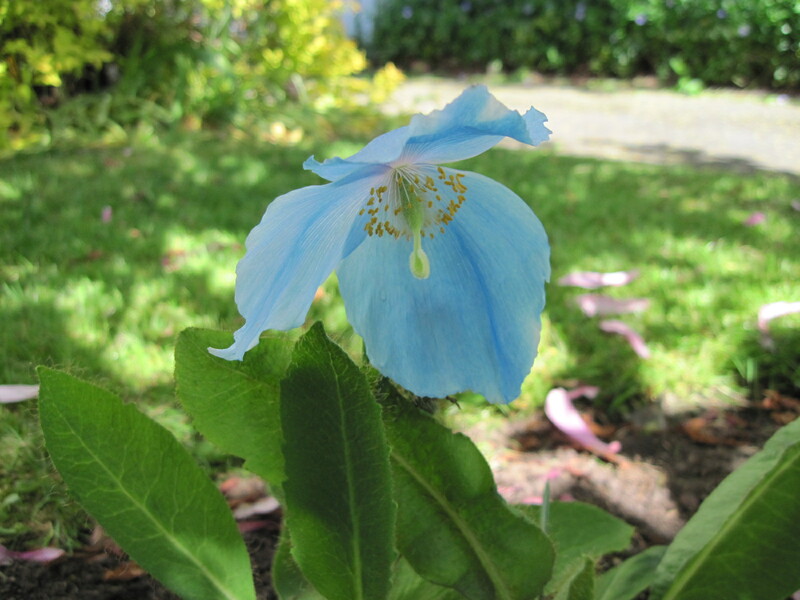 One of the most common internet searches that leads to hits on my blog is “growing blue poppies in pots.” Sadly, I think I can now say that it’s not possible to do this well. 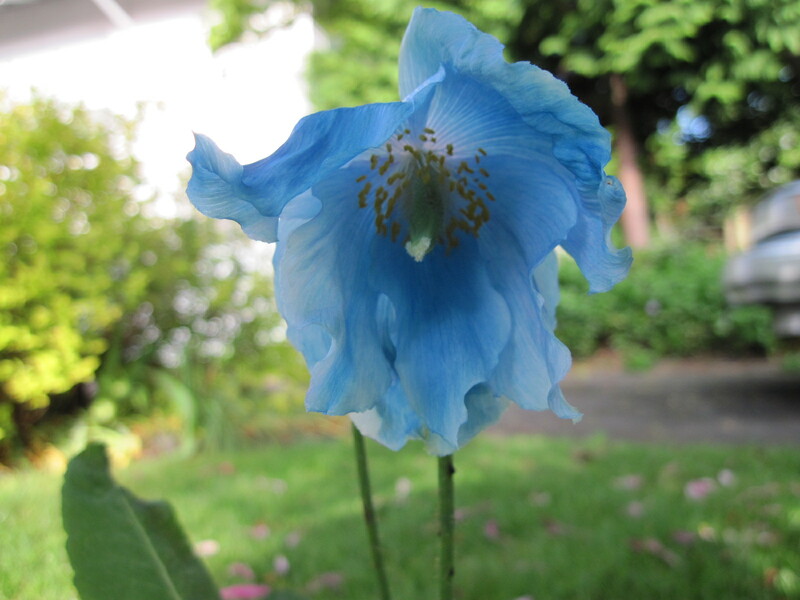 I have grown blue poppies (Meconopsis) in pots and in the ground, and the differences in plant size and vigor are striking. 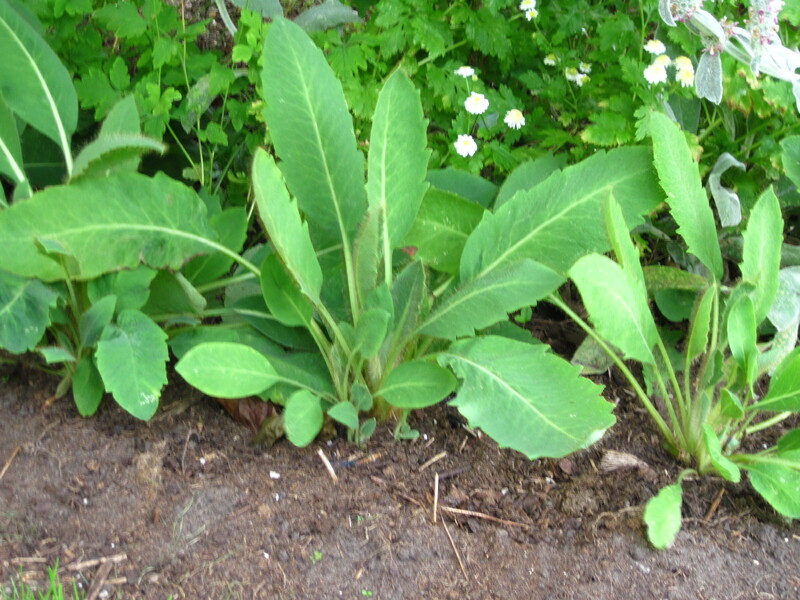 Three or four years ago I had 12 plants (mostly seedlings of ‘Lingholm’) in gallon-sized pots. 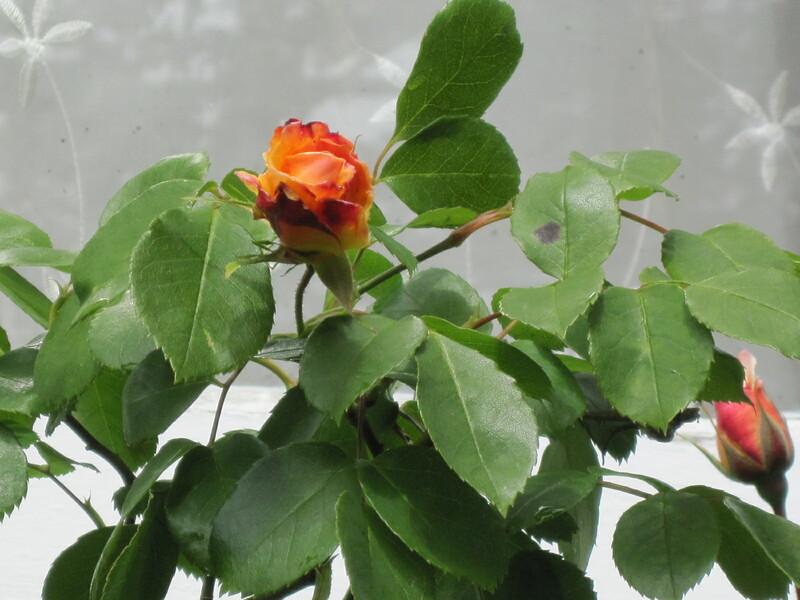 A couple of them bloomed in the spring of 2010, but none bloomed well, and all but one perished in subsequent winters. It’s hard to regulate soil drainage in a pot, and I suspect they simply rotted. Last spring I grew another batch of plants, fifteen of which came through the winter (in 4-inch pots) and sprouted out this spring. I planted eleven of them in a crescent-shaped bed on the north side of a large deciduous magnolia. 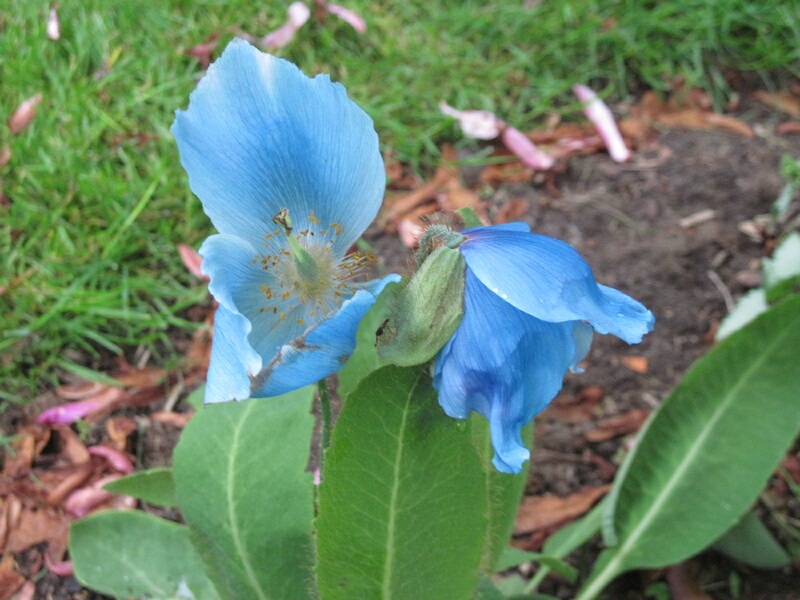 This spring and summer have been cool and relatively wet, ideal conditions for blue poppies. I watered the plants thoroughly once per week. Now, near the end of July, they look promising, and certainly more robust than any of my pot-grown specimens. 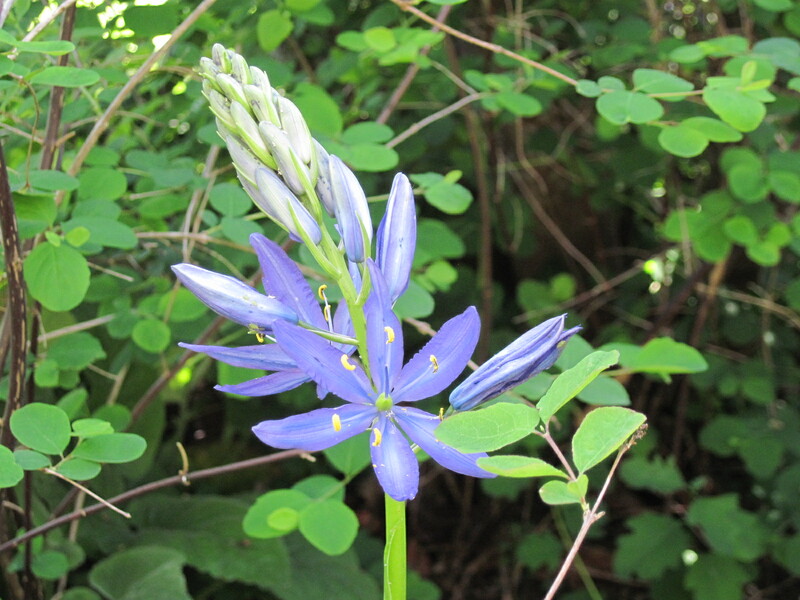 The biggest problem has been leaf-stems being snapped as the leaves are whirled around by occasional strong winds. I have planted three plants of Lamium maculatum ‘Pink Pewter’ near some of the blue poppies, hoping that they will act as a kind of windbreak. (I may come to regret this, if the lamium proves too vigorous and swamps the poppies). Most of them have formed small offsets, and I hope for blooms next spring. Remembering my very first planting of M. betonicifolia in 2000, I am confident that they will winter well, since my sandy soil is well-drained. 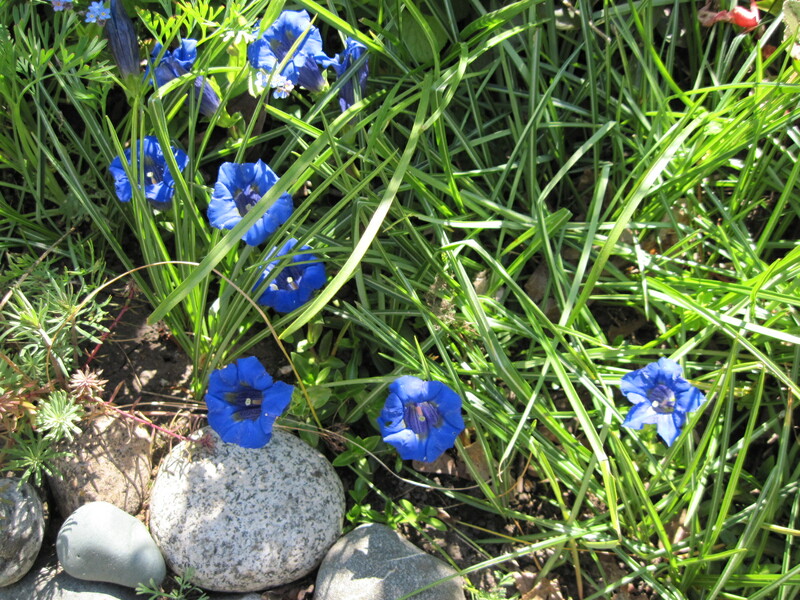 (It’s too bad I didn’t bother taking pictures of those original blue poppies when they bloomed in 2001. They were doomed, of course, because M. betonicifolia has that monocarpic habit to start with, and these were way too close to a Tree of Heaven. A few sprouted out feebly the following spring, but I could see that they had no future). 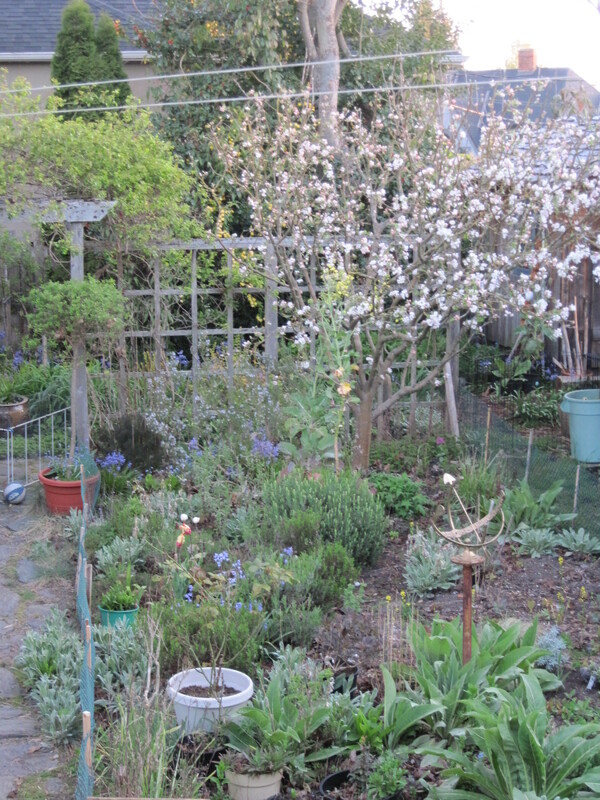 If this lot blooms next year, I will definitely take pictures. It remains to be seen how well they tolerate magnolia roots.